Oklahoma Connection | Ruscha moved to Oklahoma City, Oklahoma with his family in 1941. The renowned gallery exhibit, The Drawings of Ed Ruscha, was launched in 2005 and has traveled to many prestigious locations around the country including the Museum of Contemporary Art in Los Angeles and the National Gallery of Art in Washington, D.C. 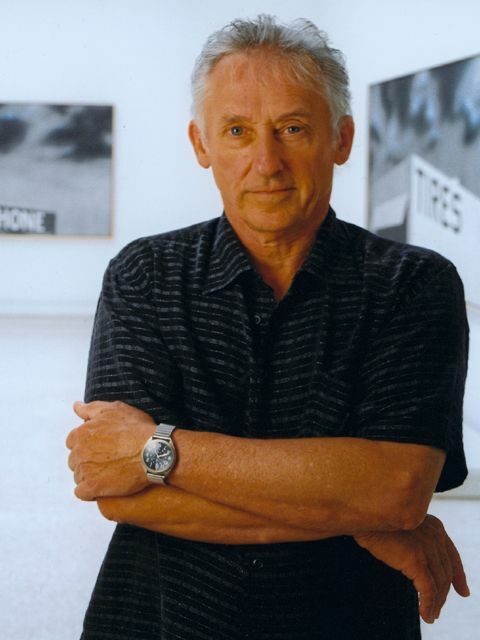 Throughout his career, Ruscha’s work has been represented in all major museums and private collections throughout the U.S. and Europe. Internationally recognized painter, printmaker, photographer, and filmmaker Edward Ruscha was born in Nebraska and came to Oklahoma City in 1941. He worked as a paperboy for The Daily Oklahoman and graduated of Northwest Classen High School in 1956 before moving to Los Angeles, California to attend the Chouinard Art Institute (1956-1960). By the early sixties he was well known as an artist through the progressive Ferus Gallery group and later achieved recognition for his many outstanding photographic books – including his book Twenty-Six Gasoline Stations, containing photographs of gasoline stations along Route 66 between Oklahoma and Los Angeles, California, a painting of the landmark Hollywood sign, and other subjects. Architectural Digest named Ruscha among the most significant contributors to the world of art in the 20th century and he completed a 30-foot-by-12 foot painting, Picture Without Words, for the auditorium of the J. Paul Getty Museum in 1997. See pictures of Edward Ruscha and other media HERE.